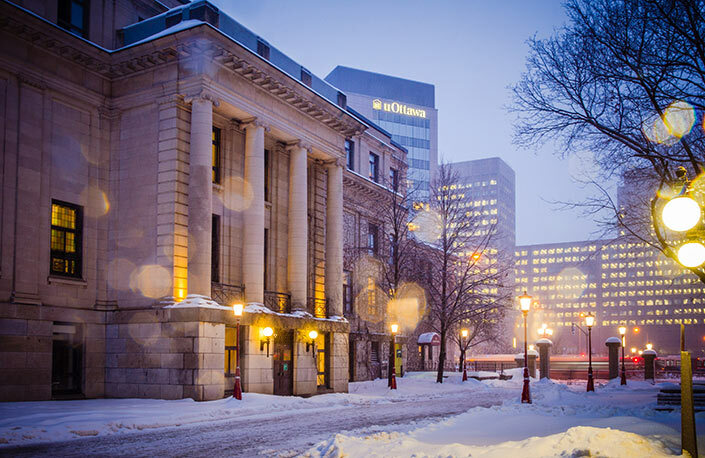 Ottawa is famous for its winters. Check out these tips to help you thrive in the cold months. Dressing appropriately is key to staying warm. A scarf, hat and mittens can be as important as your coat for avoiding frostbite. Adding an extra sweater may seem like a reasonable solution when dressing for the cold, but too many heavy clothes may cause you to overheat. Sweat freezes and clings to your skin, but it’s important to stay dry. The solution is to dress in layers and choose fabrics such as wool, wool-blends and synthetic fibres like fleece that wick away moisture. Avoid cotton. And choose waterproof boots designed for cold climates with treads to help prevent slipping. Take the temperature into account, as well as the wind chill and how long you'll be outside. Get into the habit of checking the forecast, because sudden changes in the weather are common. Learn the signs of frostbite and hypothermia. Being outside in the cold requires the body to use more energy to keep warm, and winter is also flu season. Focus on making good, nutritious food choices and drinking plenty of water. Be careful about consuming too much alcohol – its warm glow is fleeting and may cause you to misjudge the cold. To avoid falls, give yourself extra time to walk around when snow and ice are underfoot. Sometimes a little break from the cold is all you need. Use your U-Pass and take the bus! Even the short ride from Minto to Desmarais may help. There’s nothing like your favourite hot beverage on a cold day. Don't hibernate! Exercise – even daily walks outside – will help minimize the stress, fatigue and mental health problems that can arise because of the reduced sunlight. Take part in all the winter activities the nation’s capital has to offer. Enjoy hot chocolate on the Hill while taking in the annual Christmas Lights Across Canada show. Skate on the Rideau Canal and try a Beavertail, a local specialty. 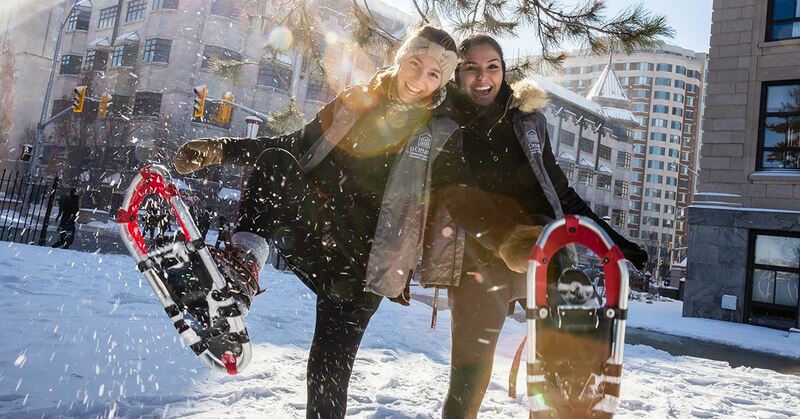 Don't miss uOttawa's Snow Festival in February, as well as Winterlude, Ottawa-Gatineau's world-renowned winter festival.